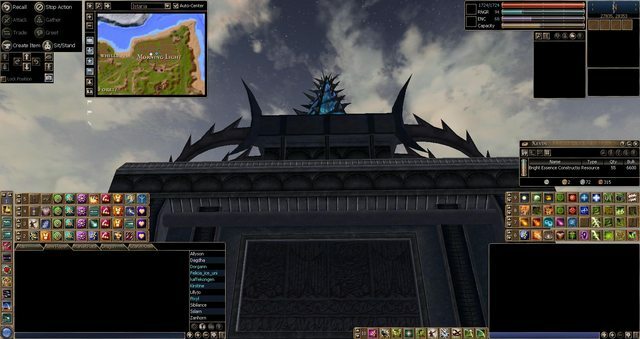 On December 5th 2003, I started playing the release version of a game I had been beta testing called "Horizons : Empires of Istaria". It was your generic fantasy sword and spellchuckers kind of game where the "living races" ( players and NPCs) were trying to save the world as they knew it from "The Withered Aegis" (a bunch of undead nasties). The living races were your usual mix of races; Humans, Elves, Dwarves, Half-Giants, Fiends (blue skin, horns on the head, tails), Saris (cat people! Furries Rejoice! ), Sslik (asexual reptilian bipeds), Dryad (Faeries to you and me), Satyr, and as a nice little unique selling point... DRAGONS! Now when it comes to mechanics, we're talking generic adventure classes that are either spell monkeys or meatshields in the usual combinations (Paladin, Cleric, Warrior, Ranger, Mage etc) but with some nice changes, Chaos Warriors use spells that can either buff them into godlike behemoths that stride the battlefield smiting their foes, or nerf them so hard a naked dryad with a feather duster will 1 shot them depending on luck and the cruel gods. 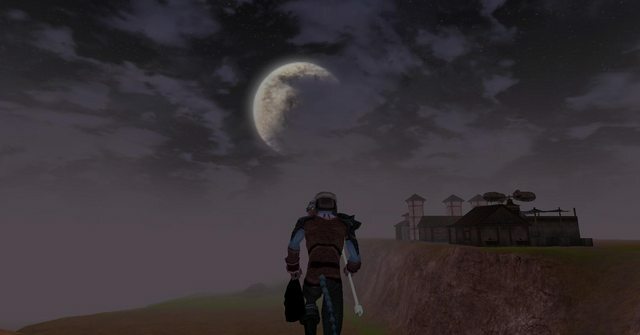 As a game, poor old Istaria has had a pretty rough time of it, chapter 11 bankruptcy, 3 or 4 different developers (including the almost universally reviled Tulga Games) and a few other hassles including years of almost no new content. Things are looking up though, and it still has some excellent features. I haven't found any other game that has the depth of crafting and adventure classes. Dragons aren't left out either, they get to carve lairs out of hilsides and hang murals on the walls. Big blue house is blue! The end game (such as it is) is mainly made up of killing world bosses with names like Fafnir and helping dragons with the epic quests they have to do to firstly become adult and fly, and secondly become ancient and end up one massive scaley beastie. All in all, Istaria is a bit of a mutant, it's showing its age and the old girl is still kicking along with a decent enough population on its two servers (one RP one not) and it has some issues with content. None of this should put people off from grabbing the client and registering for an account though, you get a 30 day trial for free and if you're willing to just play as a human paly is free completely. It's only when you wish to move on to plot ownership etc that the subscriptions become necessary. If you want a game that will (once you get past a few rough edges) give you a long long loooong time in game exploring and finding new bits of scenery that even with an ageing engine like Alchemy make you go "wow, that's pretty damn cool". Give Istaria a go, just be prepared to work on your own charatcer yourself and for the love of god DO THE DAMNED TUTORIAL!